Does any one remember this company and where the garage was and what routes they ran? I think one of there routes was the 81 Hounslow to Slough. London Buslines operated the 81 as 'Blakey' mentioned and also operated the 79, 90, 92, 105, 190, 195, 203, 258, 285, 441, 490, 698, 989 and won the A10 but never got to operate it as it had become First Centrewest by then. I believe they only had one depot which was at Southall. 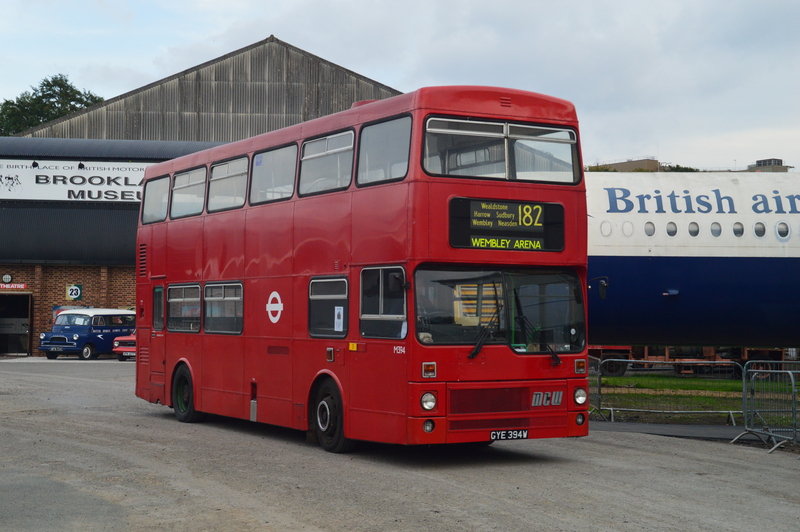 When London Buslines won the 81, it was the first privately operated route. Am I right in thinking that it was Len Wright who set up London Buslines to take advantage of the tendering regime when LRT set it up? Len Wright ran coaches at the time and went on to own the Berkshire bit of Alder Valley when NBC was massacred and sold off. IIRC this became Berks Bucks Beeline. Precisely the same site I saw his name on lol. Cheers VJ, I guessed the 105/490/285, shocked by the other routes, do you remember run nos and bus types for each routes? Cheers VJ, I guessed the 105/490/105, shocked by the other routes, do you remember run nos and bus types for each routes? Afraid not, I only found the info from google & Flickr - the 81 had second hand DMS, the 90 had Alexander Leyland Olympians, the 105 I think had Marshalls, the 258 used step Pointers and the 285 had branded step Pointers - this was just taken from Flickr though so probably not 100% accurate. I remember London Buslines and from what I can remember routes 79, 90 and 92 had Leyland Olympians. Routes 203, 258 and 285 had step Pointers. Routes 105 and 490 had route branded step Marshal Capitals. And route A10 had low floor Pointers. 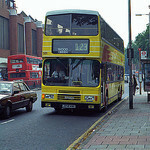 London Buslines also operated several mobility routes in Northwest/West London. They also ran some surrey county council routes mainly on Sundays, which included a brief stint on a precursor to the TfL Sunday service on the K3. They had a maintenance facility in Isleworth. The old DMS's on the 81 were replaced by Leyland Lynx single deckers. They also ran the 201 which was a variant of the 203, running via Bedfont Green rather than Stanwell . Their Southall base was in Bridge Road if I remember correctly. 285 > N reg step Pointer Darts, branded 285 Local Link - Which was 1 of my favourite liveries at the time. 3 Renault midibuses provided the mobility bus services. They also had 4 Pointer slf Darts. L7, (P407MLA) which came from UX, which was no longer required following a PVR reduction on the A10 (it would later return to UX for a brief stint following Buslines demise) and L237, 238, 239 (P237, 238, 239NLW) which were new to Challenger at ON and were originally painted green for the 105 at that time, following the takeover of the route from London & Country. After the running down of the operation, the Marshall Darts went to G and UX. At G they went on to operate routes E7 & E9 and the Local Link branding was quickly removed. At UX, they went to operate the U3 (where TGM and First had swapped routes 490 & U3) The local link branding was kept on these for a number of months until they were retrofitted with wheelchair ramps and repainted into First London livery. The remember the first day of Buslines running the 81. There were some hostile scenes at Hounslow Bus Station with the AV drivers blatantly intimidating the Busline drivers and taking the p*** out of the old DMSs which to be honest were an improvement to AVs grotty LS's. One particular comment being made was the Buslines blind set consisted of Slough , Hounslow and Not in Service. The AV drivers found it bizarre that Colnbrook was not on the blinds and were suggesting given the tight timetable they would need it. I don't think they understood at that time that Buslines had no intention of losing mileage even if it meant running late !